Handsome set perfect for photoshoots & cake smashes. 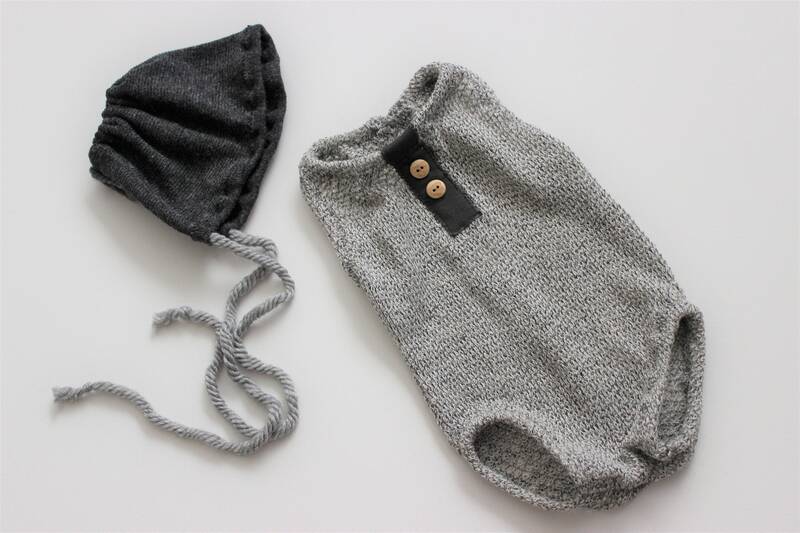 This is a sweet little knit romper and bonnet set. 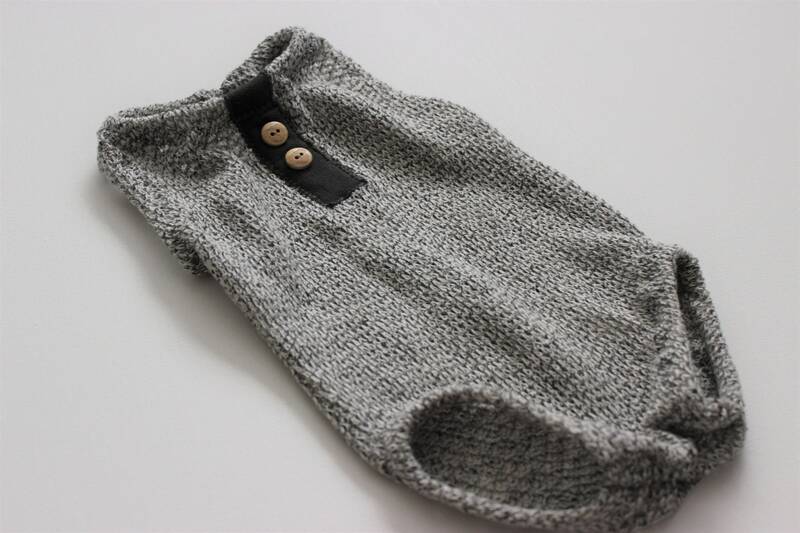 This beautiful romper has various gray tones woven in the fabric and has a gray patch in the center neck with 2 teddy buttons. 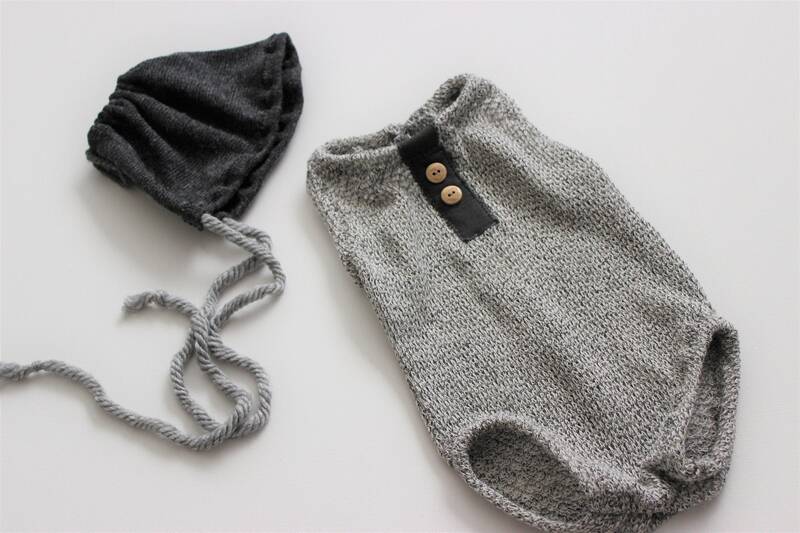 the bonnet is this wool gray bonnet with gray yarn. The bonnet is adjustable. 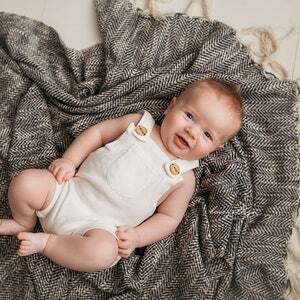 -The 2 teddy wooden buttons are sewn securely on the romper. 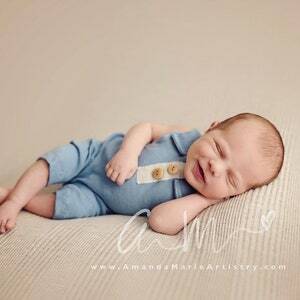 As the romper is used and loved buttons may get loosened. If you see this happen please secure or remove the buttons to avoid your child from trying to swallow them.